In my Spring 2016 Skeptical Briefs column, I briefly covered the fascinating discovery of gravitational waves. For this column, I had the opportunity to talk about the discovery with Lawrence Krauss, a theoretical physicist and cosmologist at Arizona State University (ASU) and author of A Universe from Nothing. Felipe Nogueira: Can you briefly explain gravitational waves and general relativity? 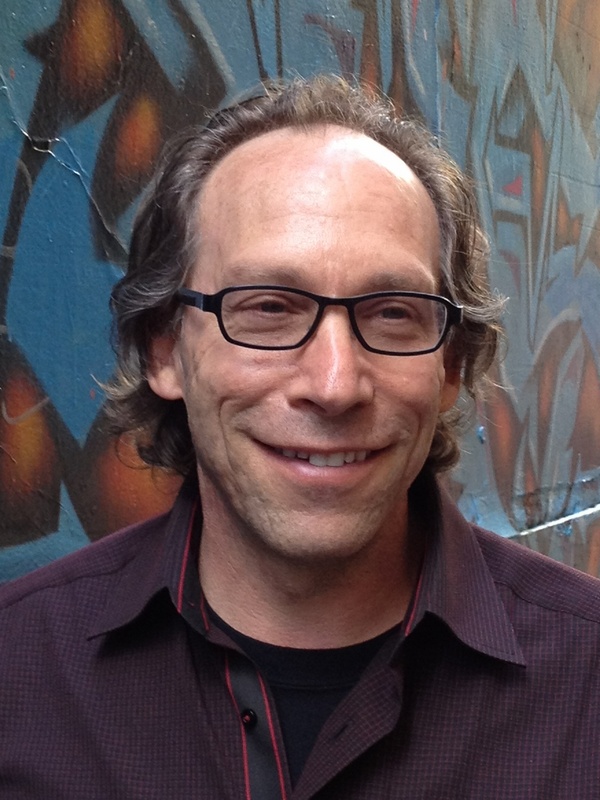 Lawrence Krauss: General relativity is a theory of space and time. Einstein showed that matter affects the properties of space and time around it; space curves, expands, and contracts because of matter. A massive body affects the space around itself and, when it moves, the massive body produces a disturbance of the space that can propagate out, like a ripple when you throw a stone in the water. In 1916, Einstein showed that such disturbance would propagate out and would be a wave, a gravitational wave. Just like electromagnetic waves happen when you jiggle a charge, a gravitational wave is a disturbance of space. That means the properties of space change when a gravitational wave goes by. If there were gravitational waves in this room right now, the distance between my hands would be smaller, but my length would be longer; then, instants later, this changes: my length would contract and the distance between my hands would be longer, and so on. Einstein thought that gravitational waves would never be observed. He also retracted gravitational waves later in 1937, when he tried to solve the equations of gravitational waves and came up with an answer that didn’t make sense. He submitted the paper to Physical Review, and it was rejected. He got upset, since he had never been peer-reviewed before. He said that he had sent the paper to be published, not to be reviewed. But it served him well, because before he could submit it elsewhere, he and someone else realized the mistake in the paper, and the final published version is correct. Thus, for a brief time, Einstein thought gravitational waves didn’t exist. Nogueira: Einstein also changed his mind about the cosmological constant, didn’t he? Krauss: He introduced the cosmological constant, because he thought the universe was static and he thought the cosmological constant would make the universe static. In fact, he was wrong on both grounds. The universe is not static, and because of that Einstein said it was a big blunder to have the cosmological constant included. But it was a big blunder anyway, because a cosmological constant does not result in a static universe. It generally results in a universe we live in now, which is exponentially expanding. Nogueira: About five years ago we discovered the Higgs boson. It was a major discovery, as is the discovery of gravitational waves. I have the impression that there was more excitement with this current discovery than with Higgs boson. Is this impression correct? Krauss: I think it got more advance notice, and I am partly responsible for that. But everything related to Einstein somehow captures the public imagination. Einstein predicted gravitational waves 100 years ago, and Higgs predicted the Higgs’ particle fifty years ago. The real difference is that the discovery of the Higgs boson is a major discovery of something very important in the Standard Model, but it doesn’t guarantee that there will be more discoveries or that it will open up new windows beyond that. The discovery of gravitational waves was something like the telescope was just turned on: it was the first time that we had a machine that could do this, and we’re pretty certain that we will be able to use this over the next century as a probe of the universe. It’s quite possible the machine that discovered the Higgs reveals to us more, but it’s no guarantee. In contrast, knowing that we have gravitational waves, it tells us that we will be able to see a lot more about the universe than we saw before. Nogueira: What kind of ideas might be tested using gravitational waves? Krauss: We never measured general relativity in a strong regime near an event horizon, where space is highly curved. We never measured strong gravity; gravity has always been weak. With these results, it looks like general relativity applies in those domains. So, we can extrapolate it to domains where space is curved and rolling like a boiling sea, and not as gentle ripples. This will be a good test of general relativity. As we probe the physics close to the event horizon, we’ll learn the nature of black holes. And who knows what else we’ll learn? Every time we opened up a new window in the universe, we were surprised. So, I’ll be surprised if we are not surprised. Nogueira: A story circulated in a Brazilian newspaper saying that this discovery would make time travel possible in 100 years. Time travel was also addressed by Kip Thorne at LIGO’s press conference. What can you tell us about it? Krauss: It has nothing to do with time travel. It means that we can explore general relativity in a regime where gravity is very strong and fields are very massive. But it doesn’t tell us that we will be able to do time travel in any way; who said that doesn’t know what they’re talking about. Kip Thorne was in an event called Einstein Legacy at ASU, which can be seen online.1 Thorne made it clear he doesn’t think time travel is possible, even though he spent time writing papers to see if it was possible. Nogueira: Regarding the non-scientist population, how can this discovery have an impact or be relevant for them? Krauss: These two black holes collided in a second, and they emitted an energy equivalent to three times the mass of the Sun. This is more than the energy emitted by all the stars in the visible universe during that moment. Those kinds of things can amaze you. As I say, it tells us a little bit of what we came from and where we are going; it enhances our place in the universe. So, from a cultural perspective, it’s part of the beauty of being human. It’s not going to produce a better toaster, but the technology used on the experiment could be used on other things. Nogueira: How was the LIGO experiment done? Krauss: The experiment is amazing. In order to detect gravitational waves, there are two arms perpendicular from each other in a detector. If a gravitational wave comes by, one arm will be shorter and the other will be longer alternatively. To measure the length, a laser beam is emitted and travels until it reaches the end of the arm, then it bounces back. This is done in both arms. If one arm is shorter, the laser will take less time to travel it than in the other arm. That sounds easy, but they have to design a detector that can measure the difference in length between two four-kilometer-long tunnels by a distance of one ten-thousandth the size of a proton. It’s so small; the quantum mechanical vibrations of the atoms in the mirror they used are much bigger than that. It’s like measuring the distance between here and the nearest star within the accuracy of the width of a human hair. It’s an amazing bit of ingenuity, perseverance, and technology; it’s really beautiful! Nogueira: Is this the last prediction to be discovered regarding general relativity? Even if it is, we know it’s not the final answer. Why is that the case? Krauss: Gravitational waves were the last aspect of general relativity that needed to be tested directly; it’s completely right. And so is quantum mechanics; it has been tested so much that it’s a fundamental theory. But we know that quantum mechanics and gravity don’t work together. In very small scales, where quantum mechanics ideas are important and gravity is strong, the two don’t go together; we know something has to give. Nogueira: What would be the next most exciting discovery in physics in your opinion? Krauss: The waves that have been seen are interesting, but for me the much more interesting waves are from the earliest moments of the big bang during inflation. We thought we had discovered it in the last year. We can look for their signature in cosmic background radiation coming from the big bang. If we can detect their signature, we will be able to probe the physics of the very early universe—the nature of quantum gravity itself. LIGO’s detector is not sensitive to those waves from the big bang, but we might build big detectors in space that could be sensitive. I’ve written a paper with Nobel Prize winner Franck Wilczek showing that if you can measure gravitational waves from the big bang, they will prove gravitational waves is a quantum theory. Nogueira: I know you have an upcoming popular science book. What can you tell us about it? Einstein’s Legacy, Celebrating 100 Years of General Relativity: An Origins Project Panel. Available online at https://origins.asu.edu/panel-einsteins-legacy-100-years-general-relativity.